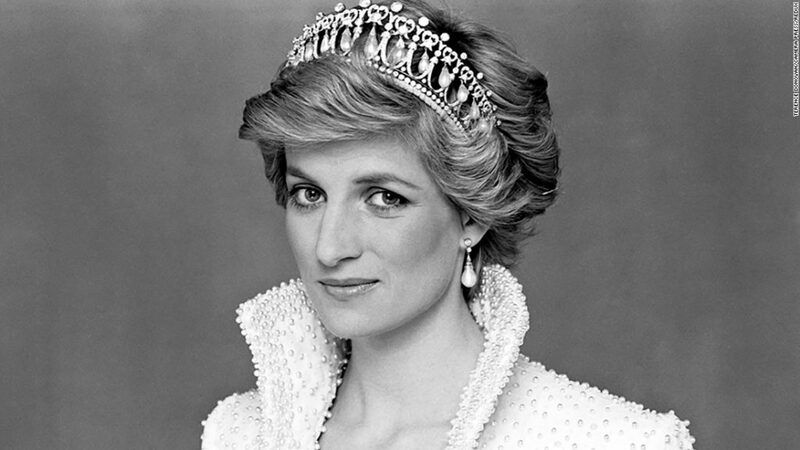 So many documentaries, articles and books mark the 20th anniversary of Princess Diana, who died in a car crash on August 31, 1997, along with her companion Dodi Fayed and driver Henri Paul. People are still fascinated with this beautiful young woman who broke with tradition and changed the royals forever. It came at a high price for her with much heartache and she possibly made unwise choices after her divorce from Prince Charles. Her many kind-hearted contributions and her savvy fashion sense made her into an icon, and even after 20 years the world is still fascinated by the life of the late princess. When she was alive, Diana made public the many failings of her marriage and feeling like an unwanted outsider as a member of the royal family. Even after her death, so many unknown secrets she held and untold facts kept being revealed with books written about her. Much of the information came from personal friends, royal staff members and her family. But what drew out even more secrets and confessions were the unknown audio recordings she kept. Here is a list of many unknown facts about Princess Diana during short her reign as a royal. Diana’s sister dated Charles first. Before Diana and Charles got together, the prince dated her sister, Sarah. She actually introduced the two of them. Diana and Charles were distant cousins. Nothing too shocking here in the royal lineage as most of them are related in some way or another. It was once imperative to only marry of royal blood. First cousin marriages were not uncommon. Diana and Charles were 16th cousins once removed as descendants of Tudor King, Henry VII. Diana overheard Charles tell Camilla Parker Bowles that he loved her. Diana learned very shortly after they were married that Charles continued to keep his relationship with Camilla and once overheard him tell Camilla that he loved her. The princess kept audio recordings of her innermost thoughts. Diana recorded everything she was thinking and feeling and all the incidents that happened during her marriage to Charles. Diana refused to use the word “obey” in her vows. Diana broke royal tradition from the first day of her marriage by refusing to say the word “obey” during her wedding vows to Charles. Katherine Middleton also used the same vows when marrying Prince William in honor of Diana. Diana called Charles by the wrong name during their wedding ceremony. I don’t know that you would consider this piece of information new as 24 million Americans watched the “wedding of the century” not counting the rest of the world. Diana flubbed her vows by nervously calling Charles by his middle name. Diana’s grandmother served the Royal Family. Diana’s grandmother Baroness Ruth Fermoy, was a lady in waiting and close confidante to Queen Elizabeth. The princess admitted to having an affair with her riding instructor. The Princess of Wales admitted in a televised interview that she had an affair with her riding instructor, James Hewitt. By then, Charles and her were living separate lives and he continued to be involved with Camilla Bowles. Diana stayed at Kurt Russell’s Colorado estate to escape the paparazzi. When visiting in the United States, she stayed at actor Kurt Russell’s 70-acre Colorado ranch. Diana accepted his offer after meeting him at a movie premiere and discussing how she was hounded by the British press. The actor invited Diana to stay there with William and Harry. Diana ate in the kitchen with staffers. Diana had no one to keep her company during lunch, so she would occasionally sit in the kitchen and eat her meals with them. This was unheard of for royals to be on such personal footing with the staff. During the height of the AIDS epidemic hysteria, Diana led the way in normalising the disease. In 1987, Diana visited AIDS patients in a London hospital. In a televised interview she shook hands with a patient without gloves on, despite fears at the time over how the disease was contracted. She tried to take her own life. Not dealing with her depression, eating disorder and failing marriage, she attempted suicide. “I was in a very bad way. I was so depressed, and I was trying to cut my wrists with razor blades,” she confessed in her audio recordings. She eventually sought treatment in London. A new book recently released about Princess Diana, makes the claim that she tried 5 times to take her life while married to Charles. So many of her confessions reveal how insecure she was with herself. She was completely unsuited for royal life and all its demands and incapable of staying in a royal loveless marriage for appearance sake. Her childlike naivety and the big age difference made her an ill fitting partner for Charles but yet that same dreaming quality, got her out of that loveless marriage, caused everyone in the world to fall in love with her and changed royal traditions forever. Change is inevitably going to happen. Diana paid a high price to bring change to the monarchy. Her heirs will continue to reshape it her memory. Victory card. Regardless of her own personal tragedy, you can see her influence on the royal family by the way her children, Prince William and Prince Harry are living their lives. Woman who is straight forward and bearing scars from the past. I believe this is who Diana became when she made the decision to divorce Charles and live her own life. Leaving behind the naïve girl begging for someone to love and accept her as she was. I think that strong willed woman was always there but came across as a willful child.